Free download Customer relation management project is implemented in asp.net platform. This project is called as CRM in short which is mostly used in business dealings and customer interactions and managing customer information using software application. Using this software application organization can manage customer information, adding and canceling appointments with customers, providing requested documents to customers. Customer grading procedure is provided in this application. This application is implemented in C# programming language using sql server and asp.net. Here we provide entire project soruce code and step by step procedure for executing this project. 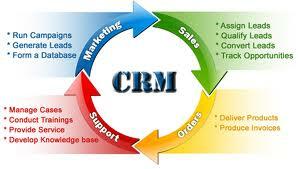 download customer management(CRM) asp.net project source code and project abstract. The S/W Engineering Model used here is a combination of Spiral Model and Component Based Model because no single model can serve all the purpose for the development of the software, that’s why we are considering some features of “Spiral Model” and some features of “Component Based Model”. The combinations of these two models form a “Hybrid Model”. The Spiral Model The spiral model, proposed by Boehm, is an evolutionary software process model that couples the iterative nature of prototyping with the controlled and systematic aspects of the linear sequential model. It provides the potential for rapid development of incremental versions of the software. Using the spiral model, software is developed in a series of incremental releases. During early iterations, the incremental release might be a paper model or prototype. During later iterations, increasingly more complete versions of the engineered system are produced. A spiral model is divided into six task regions: Customer communication—tasks required.spiral model is divided into six task regions: Customer communication—tasks required to establish effective communication between developer and customer. Planning—tasks required to define resources, timelines, and other project related information. Risk analysis—tasks required to assess both technical and management risks. Engineering—tasks required to build one or more representations of the application. Construction and release—tasks required to construct, test, install, and provide user support and training). Customer evaluation—tasks required to obtain customer feedback based on evaluation of the software representations created during the engineering stage and implemented during the installation stage. www.enggroom.com, All rights reserved.This website is published by a member of the Our Team. appreciation to me.